Cape Cod is beaches. Eastham, and the Outer Cape, is a place of friendly people, fine homes, ocean breezes, and easy living. This blog is my attempt to supplement my website (at www.RobertSheldon.com) and my monthly newsletters with additional information and viewpoints on living in Eastham. Yesterday I showed a few homes in Dennis and Dennisport to a client and his teenage kids. I enjoy showings that include teenage kids since they seem to love the hunt. The homes were all in the $200's. They ranged from a pristine 3 bedroom cottage to a large home that should have been represented as a tear down on an acre-plus pondfront lot. Call it a Black Friday sale or just the result of the economic meltdown, but mortgage rates have dropped to VERY attractive levels. I checked today and a local bank is offering a 30 yr, no points, mortgage rate of 5.5%. With the Outer Cape's inventories at good levels and low mortgage rates, now is the time to BUY! It's kinda fun to know that a tradition as American as Thanksgiving had it's beginnings at the place I call home. Weather permitting, I'm sure that I'll visit Eastham's First Encounter Beach, where the Pilgrims first 'encountered' the Native Americans, sometime during Thanksgiving weekend. This year we expect to have a house-full for a traditional turkey dinner (and pumpkin pie!). One of my clients, who has since moved to her new Eastham home, sent me a link to a great Blog that focuses on Cape Cod food. The author, Elspeth Pierson, who calls herself an avid "locavore", lives in Wellfleet and has a weekly radio show on WCAI-FM radio. I'm sure you will appreciate her quest for the best ingrediants and recipes. Check out her "Diary of a Locavore" blog. Thank you A.G. The Wall Street Journal ran a story last week about the use of Rubber Duckies in the study of the ice melt in Greenland. They were struggling for a cheap way to study how fast the ice cap on Greenland was melting. So they came up with the idea of planting rubber duckies, each with identifiers and email addresses attached and letting the under ice rivers take them to the open water where they will, ultimately, be found. They may even wash up on a remote beach somewhere. Read about this science project in the Wall Street Journal. And I was whining about Eastham's rubber duckie race. Hmmm. This morning's surprise was an inch of 'ocean affect' snow and about 50 mph winds. These, together, made for very inhospitable conditions for this morning's rubber duck race on Bee's River at the end of First Encounter Beach. When I arrived there were about 50 hardy souls waiting for the festivities to begin. I quickly paid the $1 I owed for my duck (duck #18, if you want to cheer me on). The winds brought the wind-chill to well under 0 degrees. Well, the ducks were dumped into the river and quickly (mercifully) made a break for the open river, making for a short race. 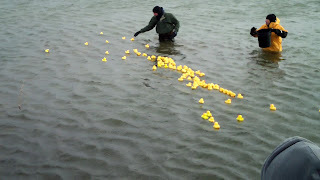 The 10 winning ducks were fished from the water by a few men in waders, their owners were later awarded a turkey or a pie. Not me, unfortunately. The losing ducks were also fished out (except for 3 that made a dash for the open Bay) to be given to kids and adults in the crowd. The net - a lot of fun, but it would be more fun if it the wind chill was 30 to 40 degrees higher. I had a closing today on an oceanside half acre building lot, near Minister's Pond in Eastham. It occurred to me that there were only 4 lots sold this year in Eastham, and I sold 3 of them. Maureen, my associate, was the listing agent for the other lot. So, RE/MAX Classic sold 100% of the lots. Not bad. After the duck race, head on over to the Elks Club (on McKoy Rd) this Saturday (Nov 22nd) for the annual Eastham Turnip Festival. There will be judged dishes (turnips, of course) and other contests. Cook a dish, bring your best photos of Eastham, and just have fun. Bring a few bucks for tee-shirts, arts & crafts, and, of course, for Eastham turnips. This event is sponsored by the Friends of the Eastham Library. The festivities start at 1 PM. My mother wasn't fond of turnips, so I've had them VERY infrequently. I mentioned this to a friend who said she'd provide a recipe that would change my mind. I'll pass it on. 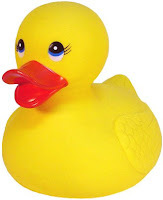 The Eastham Recreation & Beach Department is having a rubber duck race this next Saturday (November 22nd) at the end of First Encounter Beach, on Bee's River. Prizes are turkeys and Thanksgiving pies. It's a buck a duck and they start swimming at 9AM. This should be a lot of fun. If you'd like to buy a duck (for a buck), call the Rec Department at 508-240-5974 on Tuesday after 9AM. When all the ducks are gone, they're gone. This is a rain or shine event. I'll see you there. Another reason to like Alaska is what'll happen if the on-going count of votes for the Senate seat turns out to be a dead tie. In Alaska ties are resolved by a coin toss. The expanded cottage at Brownies has had a super price reduction - to $199,000. Check it out at http://brownies.robertsheldon.com/. There is always confusion as to how 'useful' the tax advantages are of owning a second and/or vacation home. I found the following article helpful. Go HERE to read more. The key word may be "active'. If you actively manage the property you can deduct up to $25K per year of losses on your second home against earned income. 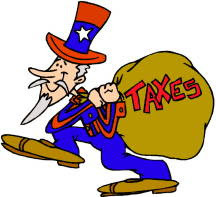 The IRS guide for Vacation homes is IRS Publication 527. Happy reading! Yesterday - Blue Rock Golf Course in Yarmouth. After enduring the long lines at the polls yesterday (9 minutes, unbearable) a friend and I took the time to enjoy the warmer, sunshine-y, day with a round of golf. We played a par-3 course in Yarmouth called Blue Rock. A beautiful day with the leaves in bright colors, a gentle breeze and almost no one else on the course. My score wasn't the best - my pitches and chips did me in. This course is quite beautiful and fun to play. There are water hazards on 4 holes (3, 9, 10, & 18) and relatively level greens. The price was pretty good too, only $25. Check them out on the web at http://www.bluerockgolfcourse.com/. Bob Sheldon is a licensed Realtor at RE/MAX Spectrum, with his offices in Eastham, Cape Cod, Massachusetts. I specialize in vacation, retirement, and investment properties (including 1031 exchanges) in Eastham, Orleans, Wellfleet, and the rest of the Outer Cape. I have been a renter, rental landlord, retiree, and now a full-time resident. Living in Eastham has allowed me to enjoy a casual lifestyle and selling real estate has allowed me to meet interesting folks who want to enjoy the Cape lifestyle also. Check out my website at www.RobertSheldon.com (see links below) or call me at 508-237-9545.